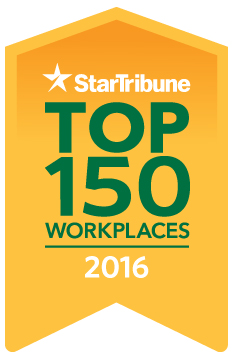 Apple Valley, Minn, June 27, 2016 - The Minneapolis Star Tribune named Uponor North America as one of the Top 150 Workplaces in Minnesota, ranking 19 on the large-size company list. This is the fourth year in a row the company has earned the Top 150 recognition. Top Workplaces recognizes the most progressive companies in Minnesota, based on employee opinions measuring engagement, organizational health and satisfaction. The analysis included responses from about 73,870 employees at Minnesota public, private and nonprofit organizations. "It's an honor to be named to the Minneapolis Star Tribune Top 150 Workplaces in Minnesota for the fourth year in a row," says Bill Gray, president, Uponor North America. "I am proud and grateful to work with an incredibly dedicated and passionate group of people." Gray says ensuring that Uponor is a great place to work is a core component of the company's strategy. "We recognize we need a sustainable strategy where we can leverage our great culture and continue to seek areas where we can improve. Every single employee brings a unique set of skills and gifts that consistently contribute to our success and make Uponor a top workplace." Uponor CEO and President Jyri Luomakoski agrees. "Regardless of industry and geography, people with passion can change the world for the better. When you have a top workplace, you attract and retain great people who make your workplace better, which makes your teams perform even higher - it builds confidence internally with employees and also builds confidence with our customers." He adds that Uponor North America's success is not because of one person, or one team or one department. "It’s everyone working together. Best people is what makes Uponor a best place to work. Congratulations to our entire North American team." Star Tribune Publisher Michael J. Klingensmith says, "The companies in the Star Tribune Top 150 Workplaces deserve high praise for creating the very best work environments in the state of Minnesota. My congratulations to each of these exceptional companies." The Top Workplaces special section was published in the Star Tribune on June 26, and the report can also be found at StarTribune.com/topworkplaces2016 . The rankings in the Star Tribune Top 150 Workplaces are based on survey information collected by WorkplaceDynamics, an independent company specializing in employee engagement and retention. To qualify for the Star Tribune Top Workplaces, a company must have more than 50 employees in Minnesota. Over 1,555 companies were invited to participate. Rankings were composite scores calculated purely on the basis of employee responses. This is the fourth year in a row Uponor North America has been recognized as a Star Tribune Top 150 Workplace. 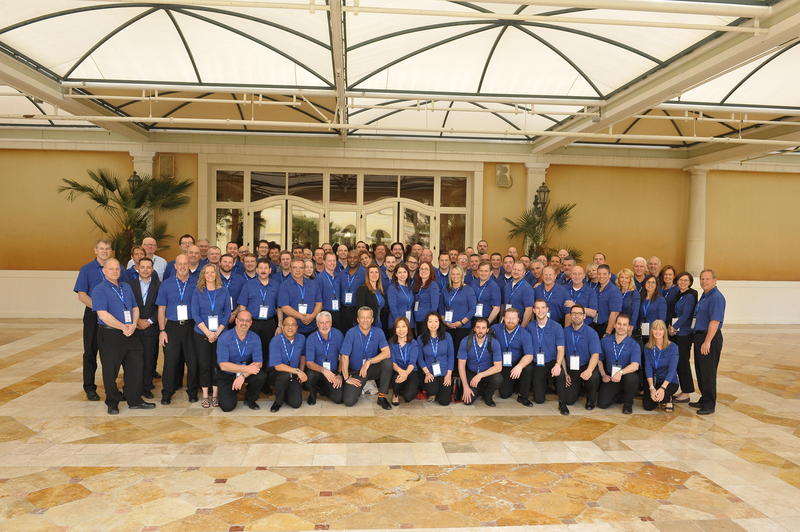 A group of Uponor North America employees gather at the 2016 Uponor Convention, which is held every other year in Las Vegas to bring greater awareness to PEX in the plumbing and heating marketplace. 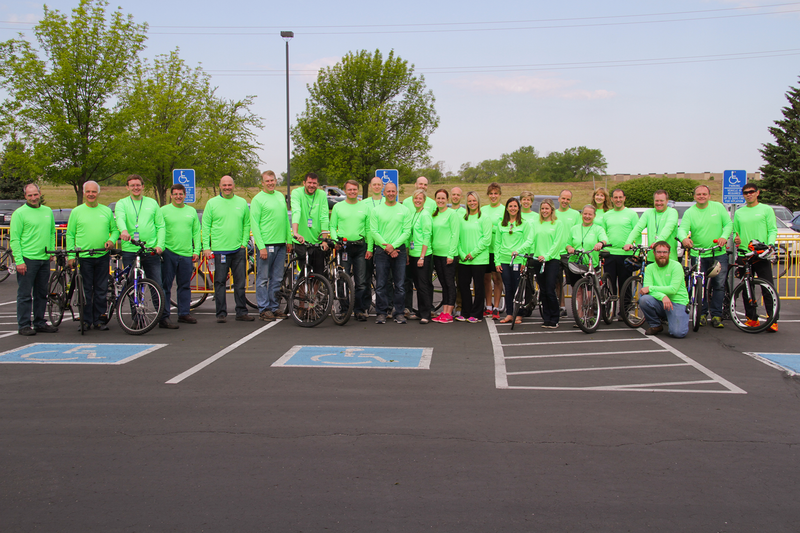 On May 20, 2016, 65 employees participated in the National Ride Your Bike to Work Day. The company coordinates several volunteer opportunities for employees to give back to their community and even offers 24 hours of paid time off each year for volunteer work. 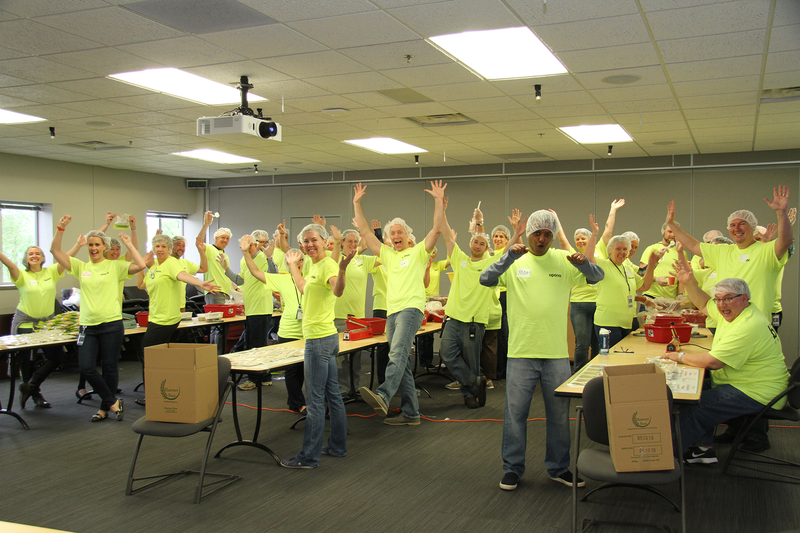 Here a group is packing meals for Alexandria-based Harvest Pack.